Photo provided by North Country Charcuterie. It’s the dream of many businesses operating out of shared commercial kitchen facilities: experience enough growth to branch out on your own. 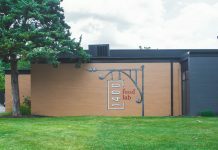 North Country Charcuterie now counts itself among the branches, leaving 1400 Food Lab behind for their own production facility at 1145 Chesapeake Ave. in Fifth by Northwest. 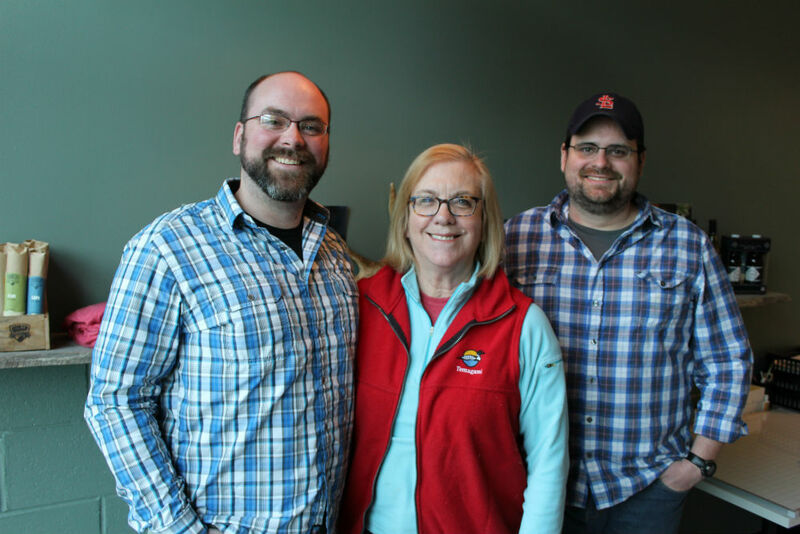 A family operation fronted by brothers James and Duncan Forbes along with their mom, Jane, North Country Charcuterie officially launched in 2014. They spent time at ECDI’s Food Fort before moving to what was then known as The Commissary. North Country Charcuterie’s Duncan Forbes, Jane Forbes and James Forbes. 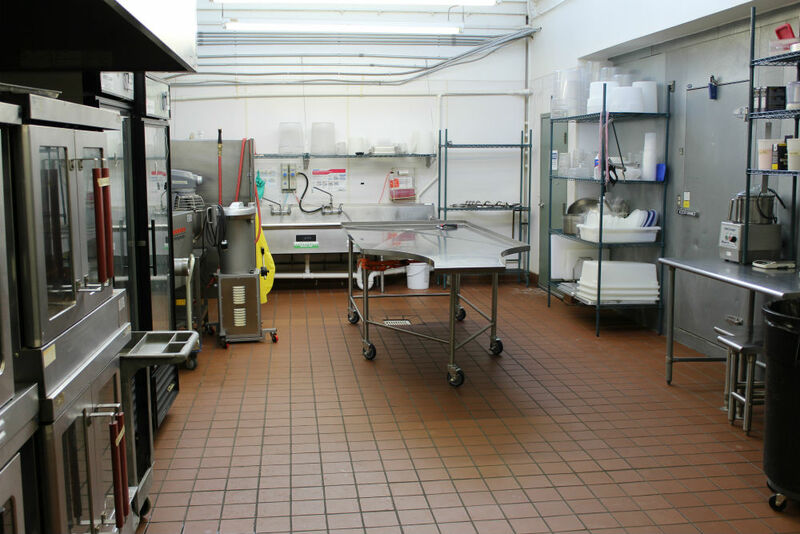 Expanding in a shared kitchen facility came in the form of adding refrigerator after refrigerator for their cured-meat products. “We probably could have continued that, but we really needed to take a bigger leap,” James says. 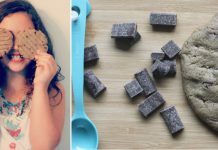 When The Commissary changed owners in the summer of 2017 and became 1400 Food Lab, it looked like that opportunity would come. 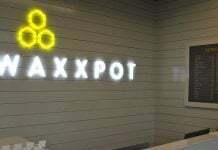 The family worked with new operators Brad DeHays and Scott Humphrys on a plan to transform a part of the facility into their own kitchen space meticulously designed by James. But they quickly realized even that may not be enough space. 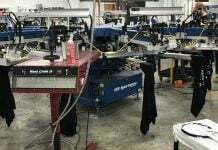 “In looking at expansion that we had done in such a short amount of time, the possibility of us expanding even more and continuing that rate of expansion was very feasible,” James says. Building out their own facility was a big undertaking – and not something they wanted to have to do again in a year Jane says. It became clear, “We needed our own space,” James says. Having put the building blocks in place to expand within 1400 Food Lab meant North Country Charcuterie was positioned to jump at the opportunity when their space that was once home to the bakery operations for Jeni’s Splendid Ice Creams became available. “We were sort of beyond the place of cold feet,” Jane says. Taking the leap means a plethora of opportunities for North Country Charcuterie. Given the nature of their products, working in a shared facility was challenging – North Country Charcuterie is more heavily regulated than many of the other makers. At 1400 Food Lab, they obtained ODA certification allowing them to sell in state. In the new digs, it’s USDA certification, expanding their selling potential nationwide. The sheer volume of space – shelves and fridges to 3,000 plus square feet – means more cured meats, both in poundage and varieties. 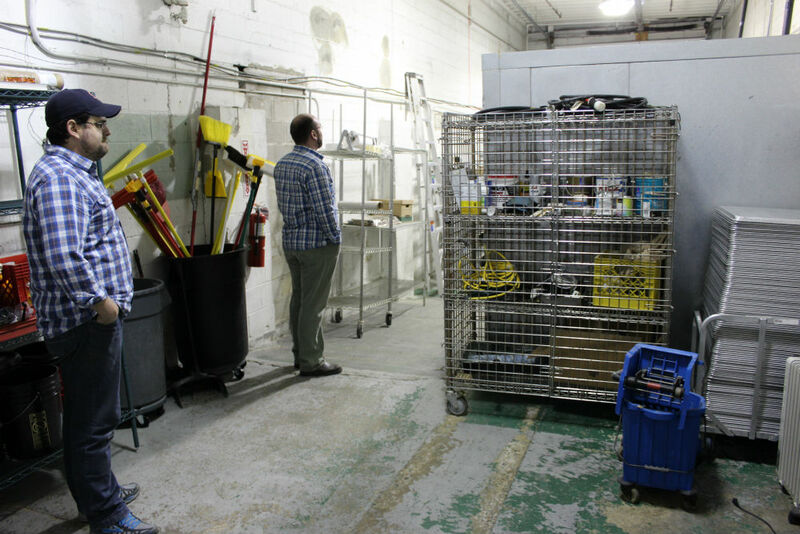 “We’re going from about 80 square feet of drying space to almost 300,” James says. That means turning up the volume from about 200 pounds a week to 1,000. That increase in volume can be attributed to new equipment as well. Grinding that used to take three hours now takes five minutes. 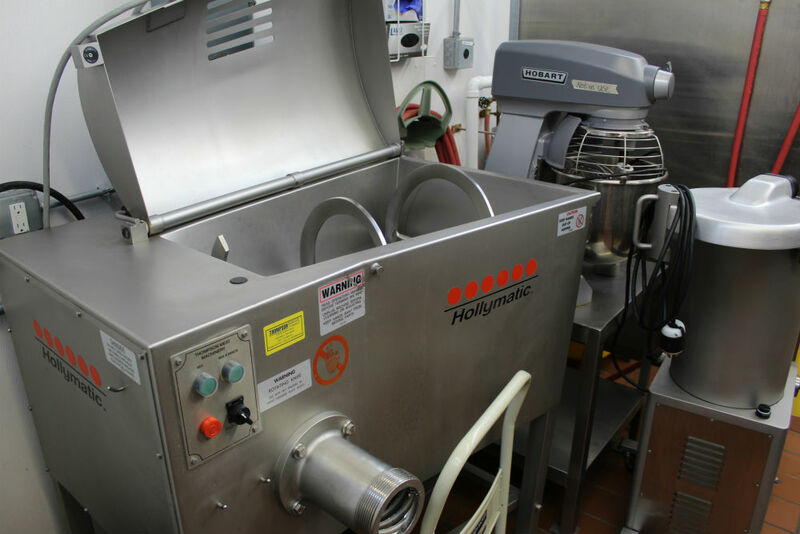 The increased speed doesn’t mean they’ll be the next Hormel – as Jane says, that’s not the objective – but they are bringing more efficiency to their hand-made process. “We’re saving a lot of time that hopefully enables us to be more creative,” she adds . 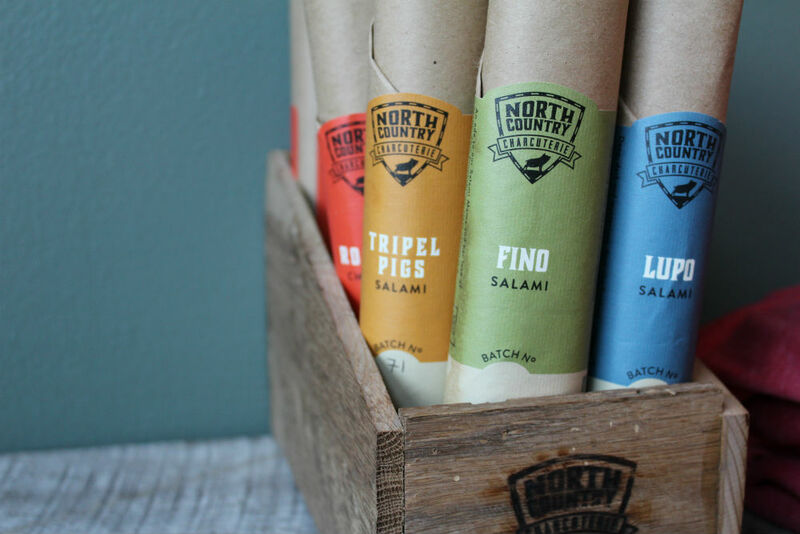 North Country Charcuterie already has a growing list of products they hope to add to their lineup, largely focusing on whole-muscle cuts like coppa, pancetta, prosciutto and guanciale. They’re also bringing back their coffee and brown sugar cured bacon. “Customers have asked for more stuff, or a broader range of products and we just never could,” Jane says. Now they can. And that includes exploring opportunities and requests directly from chefs. 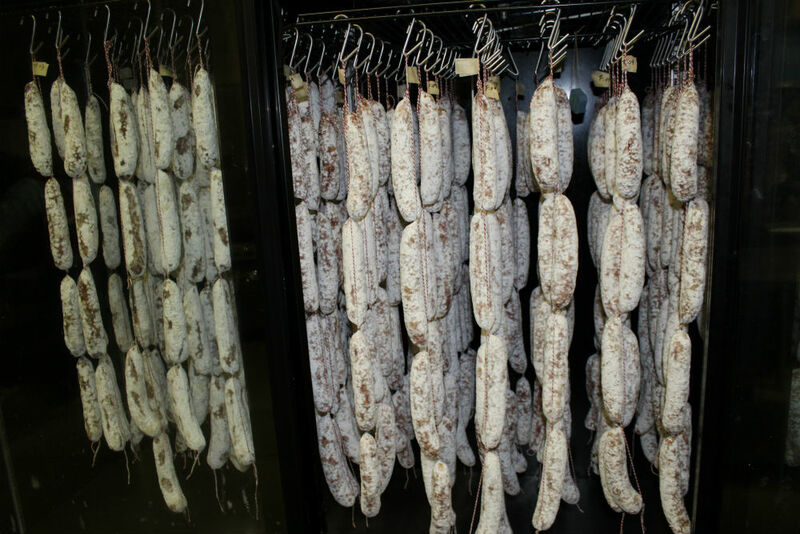 Followers will already notice an expanded lineup of North Country Charcuterie salamis. 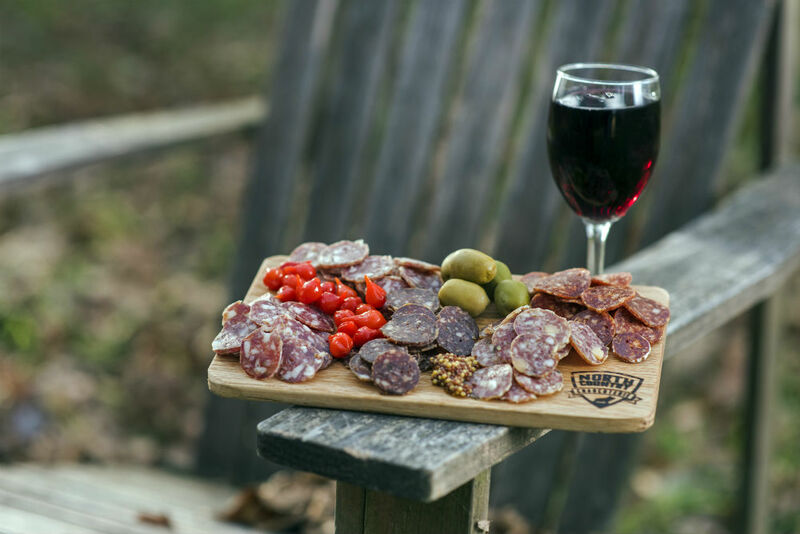 The Fino Salami calls on classic Italian flavors of garlic and fennel, while the Lupo Salami builds its profile on Direwolf Russian Imperial Stout from Wolf’s Ridge Brewing and Mexican mole seasoning. The Lupo happened almost by accident. A customer paired North Country’s products with Wolf’s Ridge beer for a gift. Duncan reposted the pairing online where brewery owner Bob Szuter saw it. Soon the communication was flowing and Duncan and James were in the tap room taste testing beers to star in their salamis. The final product, “It has quickly turned into our biggest seller,” James says. 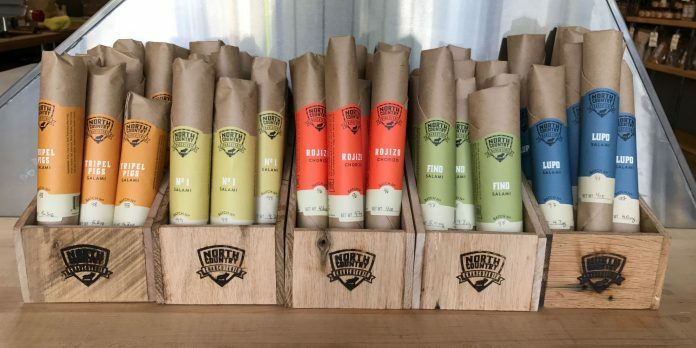 North Country Charcuterie’s edibles are available on its website as well as a growing list of outlets across the state. 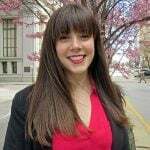 It’s about a 60-40 split restaurants to retailers as the salami business continue to pick up suppliers in Cincinnati and Cleveland. 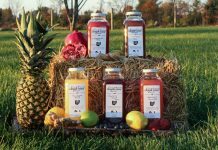 As a part of the USDA certification, that selling net will soon grow wider as they target surrounding cities like Pittsburgh and Louisville. For more information, visit northcountrycharcuterie.com. All photos by Susan Post unless otherwise noted.